Boriss Bērziņš – one of the most outstanding representatives in the cultural space of the second half of the 20th century. The artist was born on October 7, 1930, Riga. From 1947 to 1952, he studied at Riga Janis Rozentāls Art Secondary School, from 1952 to 1959 – at Latvian State Art Academy, which he graduated with a diploma work “Plostnieki” [Raftsmen], done under the supervision of Eduards Kalniņš. From 1955 he participated in exhibitions, from 1961 he was a member of Latvian Artists Association. Bērziņš began working at the Art Academy of Latvia already in 1963; first – as a lecturer at evening training courses, later – at the Department of Painting. When Eduards Kalniņš died in 1988, he took over and led the Painting Studio of the USSR Art Academy in Riga, and always followed his students’ career in art. His studio had always been open to creative conversations on art, even in the time when health problems prevented him from participating in the events. Apart from holding the post of professor at the Art Academy, he had received significant awards and titles both in Latvia and abroad. In his life, a very significant event occurred in 1979 when he received the 2nd prize at the Cleveland 4th International Drawing Biennial held in Middlesbrough, England, but in 1983 he was given the 3rd prize at the 6th biennial organized at the same place. In 1994, Bērziņš was elected the honorary member of the Latvian Academy of Sciences, in 1995 he was awarded the Order of Three Stars. Since 1997 Bērziņš was a life grant holder, given to him by the State Cultural Capital Foundation. In 2000, for his life-long contribution to art he received Spīdola prize of the State Culture Foundation. Boriss Bērziņš was always active and sociable; being responsive and full of humor, he had observed processes in life and art, had reflected on them, evaluated and painted, throughout his life trying to purposefully carry out the tasks he himself had set. He died on February 11, 2002, and is buried in the Meža Cemetery I, Riga. 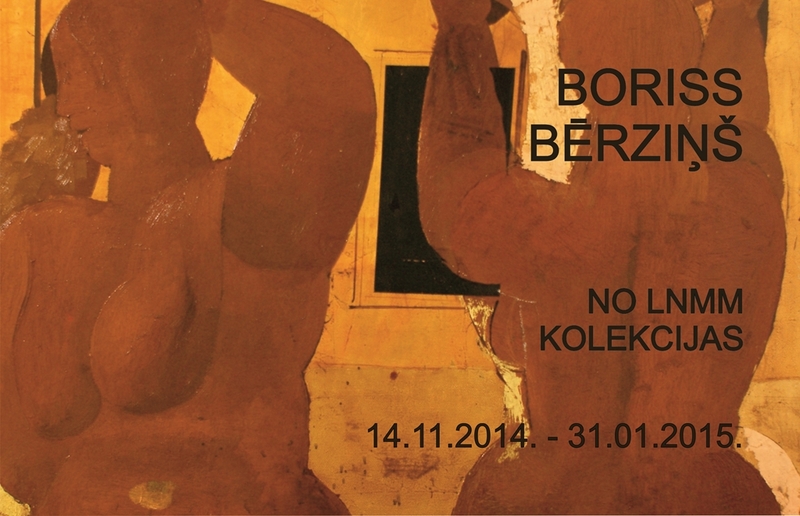 By his will and testament of February 1, 2002, Bērziņš has left all his works to the Latvian National Art Museum. This rich creative heritage gives a full idea about the artist’s life-long contribution to art, testifying to the originality of his world perception and artistic thinking. In his works, the artists depicts the emotional depth and artlessness of the simplest, most prosaic events and things, which allow viewers to immerse in meditation on the perfection of forms and corporeity of colors, as well as become companions of the intensive life rhythm. He does not search for special themes and models, but creates his compositions as if simultaneously constructing and developing plots which reveal artist’s imaginative thinking and unconventional vision of the world – this is life around us, the life whose central focus is and will remain man as the artist’s major source of interest and studies. Although each work is based on observations of concrete life processes, the plot is of minor importance, because he has raised the mundane, simple events to the level of philosophical generalization. And therefore pictures of fishermen’s life, holiday moments with figures of old and young people, with occasional emphasis on portraits, everyday objects and processes are things through which the painter speaks about all issues significant to him: the eternal themes about the sense of life, about man in its broadest meaning, about understanding of life; and he manages to do what is necessary in an art work – to express his ideas so convincingly that it becomes clear: to reveal this content by a different form is impossible. In compositions, artist’s imagination runs lavishly and colorfully; in the picturesque and clever improvisations there are flashes of a rich palette of expression means, and justly can greater values and more considerable depths be seen than, perhaps, the artist himself has had in mind at times. His works radiate something that is difficult to express in words and is not always directly perceivable in life either; sometimes nothing great, yet important – something like a caress of the wind on a sun-lit river bank, like a touch of a water drop or scent of a leaf stuck on the body. Is it possible to draw all this? Obviously – yes, and a lot of other things as well. Some clever tricks are not an unfamiliar thing to Boriss Bērziņš. At attempting to characterize his creative work according to the accepted criteria, I’d like to say that in any drawn line, any delicate shading and color gamut the artist has managed to amalgamate plasticity and character of expressive forms, and he feels free and certain in any kind of technique and theme. The written notes, which specify the portrayal, emphasize the meaning of one or the other detail, thus imparting a particular tonality to his works.